IMS & DBH Proudly Carries Pelican Brand! Standing tall as a well-known global leader when it comes to making aesthetically pleasing designs, Pelican Products, Inc. proudly reigns at the top of the manufacturing ladder. They are known for creating high-end performance protective cases, packages that are temperature controlled, innovative lighting systems for the pros, and other rugged gears. 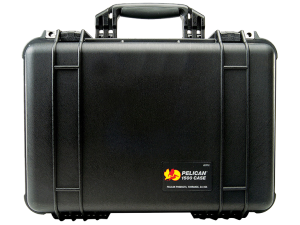 Pelican Products, Inc. offers a wide variety of cases intended for taking on different occasions. They have ensured that these cases are made with only the best of material the industry has to offer. 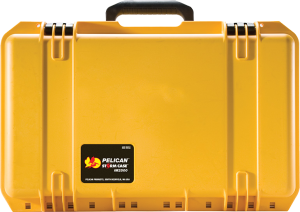 Bringing sensitive equipment with during travels is a hassle without any help from Pelican Products, Inc. The company has been serving the people since 1976. Their cases have been specially created to look rugged, it can easily withstand the harshest of conditions on planet earth. Cases have been made to endure the coldest nature of the Arctic or even beat the heat of flames. These cases are guaranteed to protect the customer’s equipment regardless of the circumstances bring. All cases are made in the United States of America using the latest technology for advancement. It has been partnered with an automatic valve that carries the role of equalizing air pressure. Following after its predecessor, Protector Case, Pelican designed Storm case to sport the same DNA. However, their engineers made a one thing different – it holds a nifty push and pull feature for easier access. The latch has been designed to lock automatically after use, but it’s been programmed to give quick access with light touch. Coolers that are guaranteed for life as they have been cultivated with the finest components in the United States. 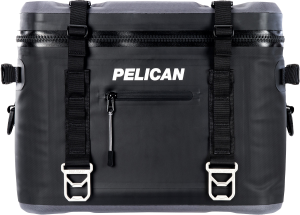 Pelican has taken the idea of high-quality to a whole new level. Offering a different experience from hard coolers, Pelican Inc. made these set of coolers adventure ready. They are easy to transport and is convenient to bring around for voyages. It’s a 24-can cooler that has all of the necessary features for a partner-in-crime out in the open. It’s leak-proof, waterproof, and built to keep the ice cool for the next forty-eight hours. Pelican’s Elite Coolers is one of the big leagues in business. The engineers have started their creation with a clean sheet, and it took them years to successfully leverage the world’s best cooler. Insulation prepared to keep ice cool for the next 10 days of journey, this Elite Coolers racks points in the popularity contest from the professionals. It holds important features such as, locking latches, neat fold up handles, and finally, it carries wide wheels for terrains that are softer than average. Pelican has specially upgraded their line of drinkware to make it more convenient than ever. Their cups are made with the use of 18/8 pro grade stainless steel. In addition, the cups are sweat-proof, and is sported with a power coated finish. This gives the users the guarantee that there will be no slippage due to condensation. Please call us! We would be happy to hear from you and we love to answer any questions you might have about our current products or services; industrial machine servicing; Air Tanks; Pneumatic Valves; Hot Air Guns;Steel and Stainless Hydraulic Fittings; Electric Motors and Controls; Paint Booths and Systems; Pneumatic Tubing; Hydraulic Pumps; Pneumatic Compressors; Specialty Welding; CNC Parts, and many more services than we can list.